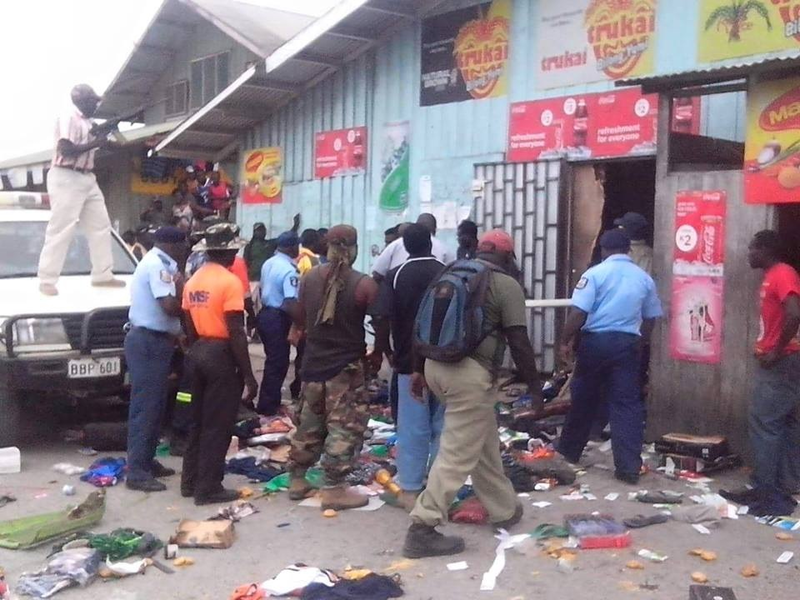 President Grand Chief Dr John Momis has condemning the recent outbreak of violence in Buka Town where locals attacked and ransacked a business house. Foreign investors would only be allowed to go into businesses worth K10 million and above. The President also congratulated the Bougainville Police Service’s response to the incident noting this as a sign of how the rule of law has matured in Bougainville. “There is no reason why anyone should ever take the law into their own hands,” Momis stressed. The introduction of a rapid response team capable of responding to similar situations that may arise in all areas of Bougainville. Introducing a Bougainville Security Council. “The situation this week has also prompted my government to review the reserve list of the types of businesses that are permitted to be operated in the ARoB exclusivelyby Bougainvilleans,” President Momis said. President Momis has issued a stern warning to all Bougainvilleans that law and order will be enforced across Bougainville at every turn.“We must welcome foreign investment as a means to secure our economic prosperity, we must be seen to be a community that demonstrates our values in every aspect of our lives,” President Momis said. “Anyone who promotes to their community to do otherwise are not true leaders, real leaders do not follow their followers, real leaders inspire their followers to become the people they should be,” Momis added. He added that with the referendum drawing closer Bougainvilleans must acknowledge that the past is behind them and their future lies in an orderly, peace loving and respecting society. Until this review has been conducted a temporary ban has been enforced on the registration of new businesses in Bougainville. This was revealed by the Regional Member for Bougainville, Hon. Joe Lera when speaking to people who attended the beginning of a weeklong Flower and Craft Show in Buka Town yesterday. Member Lera said after the passing of this law, foreign investors coming into Papua New Guinea would not be allowed to go into businesses like trade store, restaurants, mechanical workshops, retail trading and others that are reserved only for Papua New Guineans. He further clarified that these foreign investors would only be allowed to go into businesses worth K10 million and above. He further explained that foreigners who are now involved in businesses worth less than K10 million would have to handover them to the locals and enter into the K10 million business category. Meanwhile, our reporter says such a policy is already in existence, but it is the policing of these laws that needs to be strengthened and given the teeth to bite offenders. Our reporter says this law was introduced immediately after independence, but has never been properly administer by government agencies responsible for its implementation.